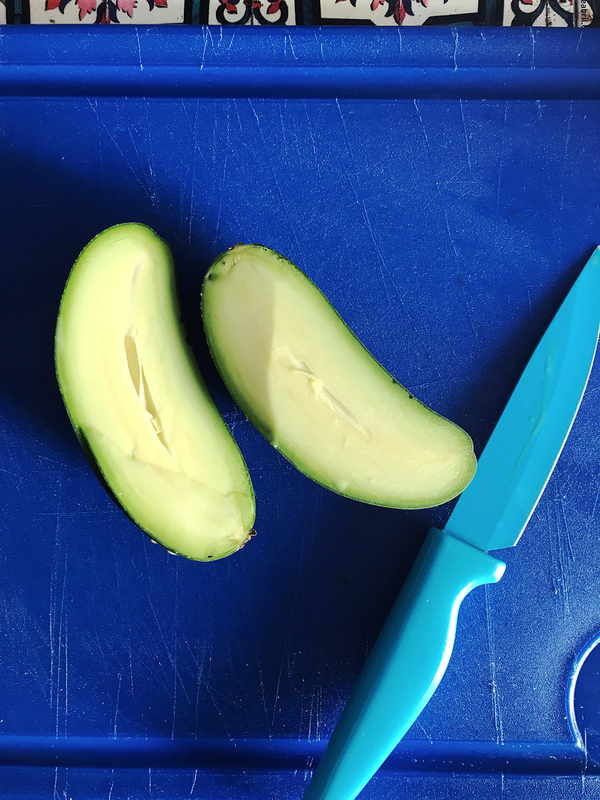 This is not a drill: Pitless avocados are apparently a thing. If, like me, you love avocados but hate taking out their goddamn pit, this should be good news. 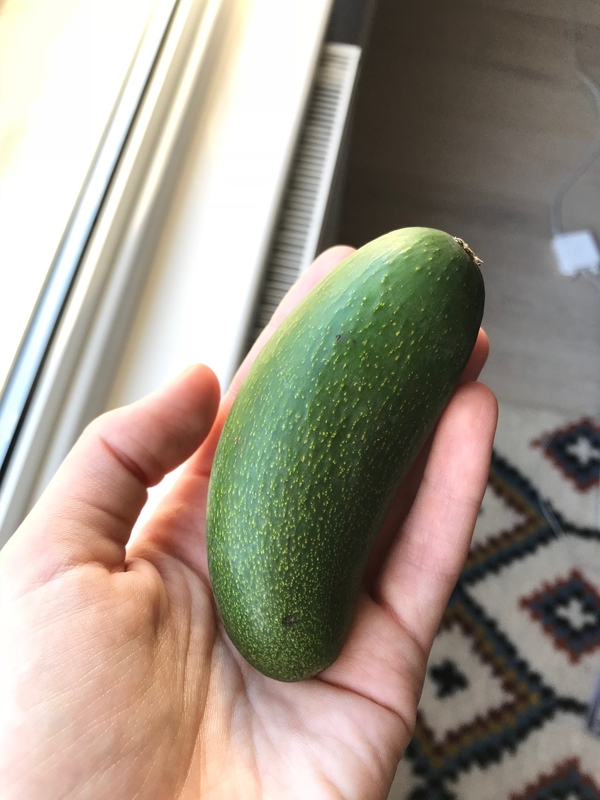 British grocery chain Marks and Spencer announced last week that they would be selling these "cocktail avocados" in selected stores. And everyone started freaking out. On top of solving the issue of avocado hands, the avocados are entirely edible, skin included. And in case you're wondering, they're produced in Spain and are the result of an unpollinated blossom. I don't really know what that means but thought I should mention it. There are 4 to 5 avocados per package, and each package costs £2 (about $2.7). 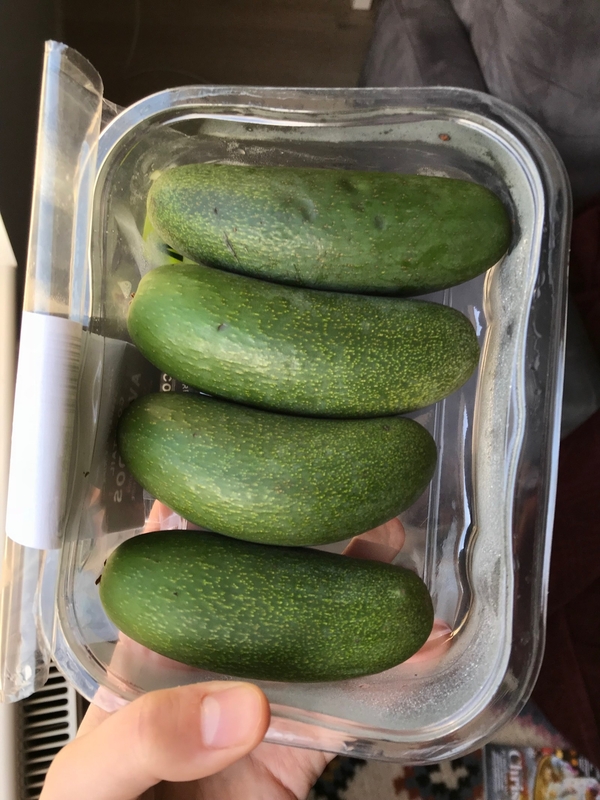 First thing first, they were pretty small and looked more like big pickles than avocados. They were all pretty ripe, and yeah, cutting them open was obviously much easier than with your usual avocado. Taste-wise, though, they were very bland and watery. It was like eating something avocado-flavored but definitely not like the real thing. Marks and Spencer also described them as "smooth" and "creamy," and smooth they were, but they definitely lacked that rich, buttery quality that makes traditional avocados so damn delicious. And yeah, I did eat the skin, but it just wasn't that enjoyable, TBH. Sorry to be such a party pooper but "edible" is just the perfect way to describe it. If you really don't feel like peeling your avocado, you could eat that skin, but it definitely won't make your experience more enjoyable. So, if you're really afraid of avocado pits and too lazy to peel them, you might want to try those. Otherwise, stick to good old, delicious avocados. 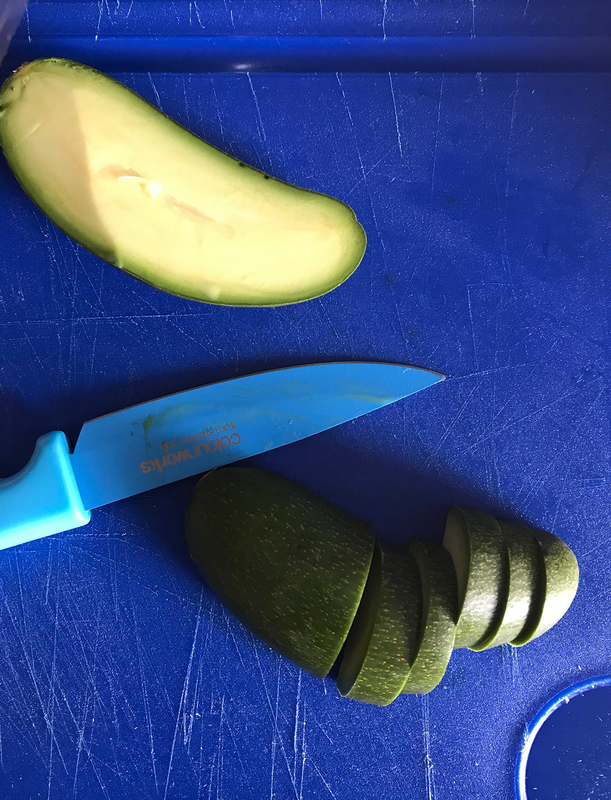 Would you try the pitless avocado?